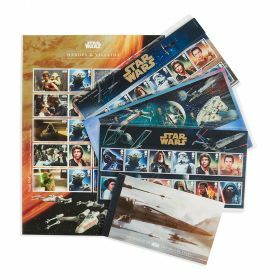 Released to coincide with the UK release of Star Wars: The Force Awakens, the 26- page book explores the role that Britain has played in the making of the Star Wars saga. 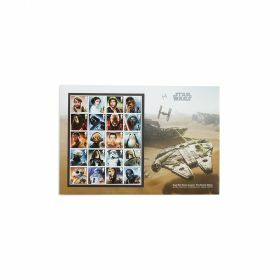 Has all 12 Character and 'vehicles' Stamps. 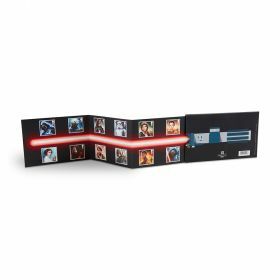 Issued on 17 December 2015 to coincide with the UK release of Star Wars: The Force Awakens, the 26-page Prestige Stamp Book explores the role that Britain has played in the making of the Star Wars saga. 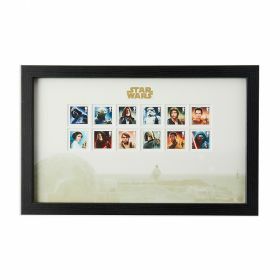 A treasure trove for every fan of the franchise, it includes rarely seen imagery, plus facts and images regarding every featured British actor and a wealth of information from Star Wars expert Simon Beecroft. 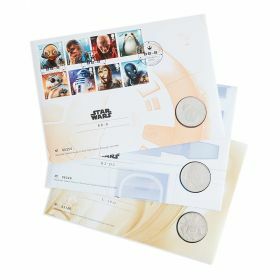 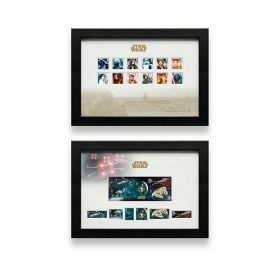 Has all 12 Character stamps, the entire'vehicles' sheet featuring the new and classic hardware and also a set that is unique to this book; an Alliance Starbird image surrounded by 1st Class, 2nd Class and Union Flag stamps.